As many of the high-end watch brands beat a determined and reverential path to the Chinese market these days, it’s interesting to note that history really does have a way of repeating itself given sufficient time and the right conditions. 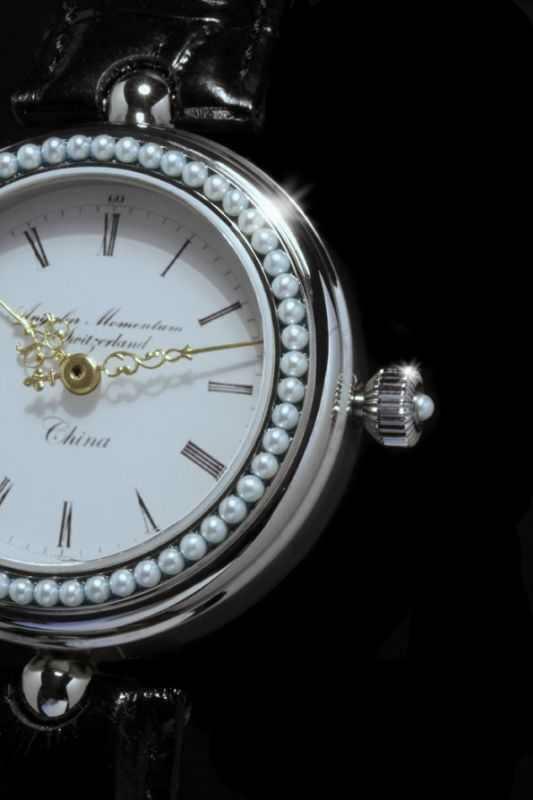 During the 19th century, Europe, in particular Switzerland, exported thousands of a type of special watches into Imperial China. Brands such as Piquet et Meylan, Ilbury, Juvet Fleurier, Dimier, Vrard, Tardy et Fils, Borel-Courvoisier, and Jaques Ullmann were particularly successful and made both big impression and a big fortune. Many of these special watches were encased in ornate gold and enamel, many of them decorated with pearl, while most featured fancily engraved skeletonised movements. Since the Chinese costumes during the 19th century neither had a vest or pockets suitable for pocket watches, pocket watches were usually put inside a spotter which would hang on a Chinese purse. The Chinese gentleman would carry his purse by means of looping it through his belt. 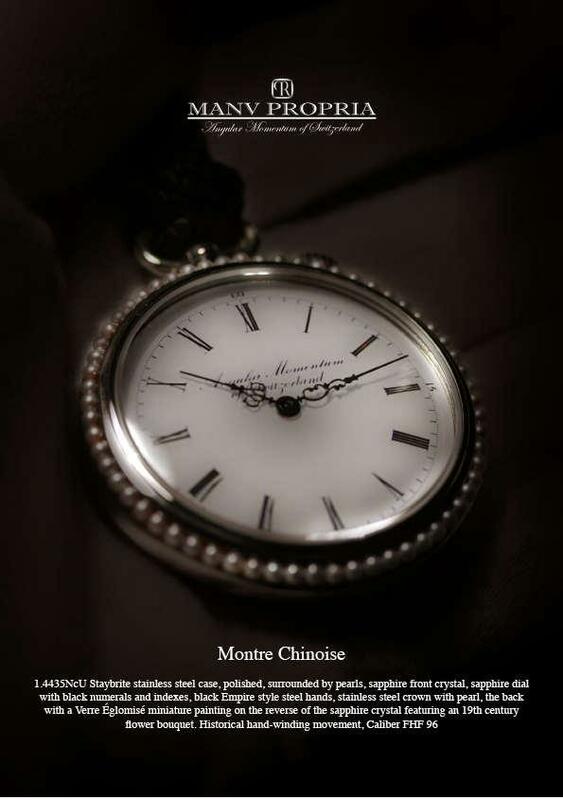 Today, this type of watch is known as the Chinese Market Watch, or La Montre Chinoise, and has become a highly collectable horological item. Inspired by the Montre Chinoise pocket watches, Angular Momentum and Manu Propriahas created its own Montre Chinoise version of a wrist watch. 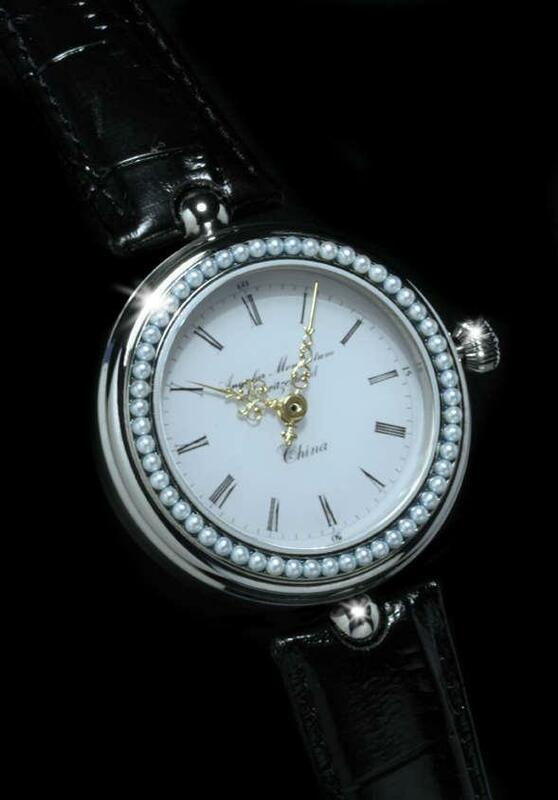 It’s in a 43.5mm stainless steel “La Boulle” case with a polished stepped pearl-set bezel and brushed sides. The watch features a sapphire crystal, white “Verre Èglomisé“ glass dial with Roman numerals, outer minutes track with a polished Louis XV crown, gold Louis XV hands, and a decorated mechanical self-winding movement. 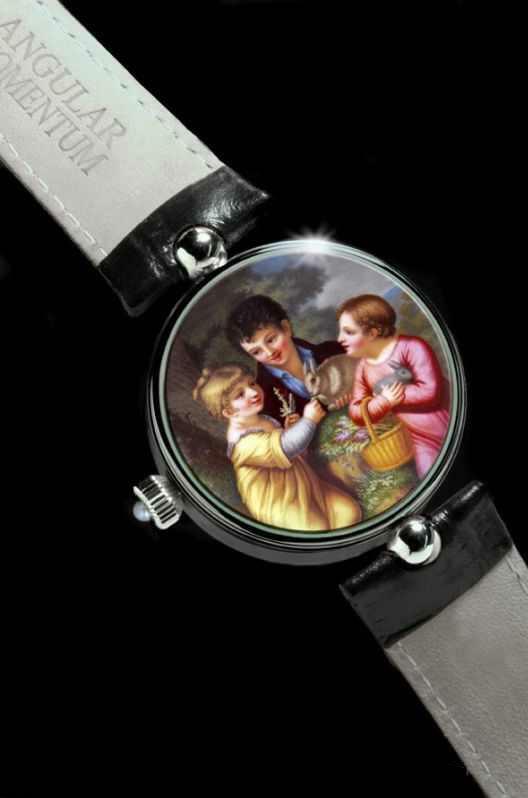 The back sapphire crystal features a delightful “Verre Èglomisé“ miniature 'Feeding The Rabbits' which can be seen on a pocket watch made by Ilbery, London, No. 6138, the enamel being attributed to Jean-Francois-Victor Dupont. The Ibery was made for the Chinese market in around 1815.